6 x 17 x 14 1/2 in. Keyboard disabled 11-9-1984 (FNC- ESC- Graph 1- Graph 2-Break- Stop). 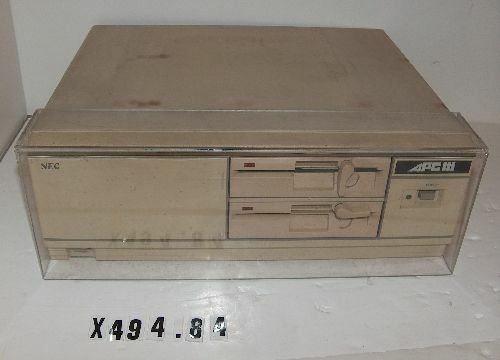 Object is a PC system unit with two integral 5-inch diskette drives. 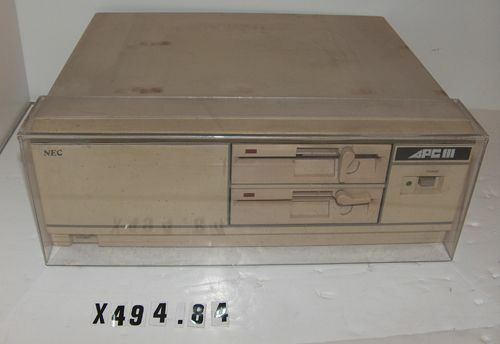 A clear plastic cover is screwed on the front to keep anyone from accessing the diskette drives.